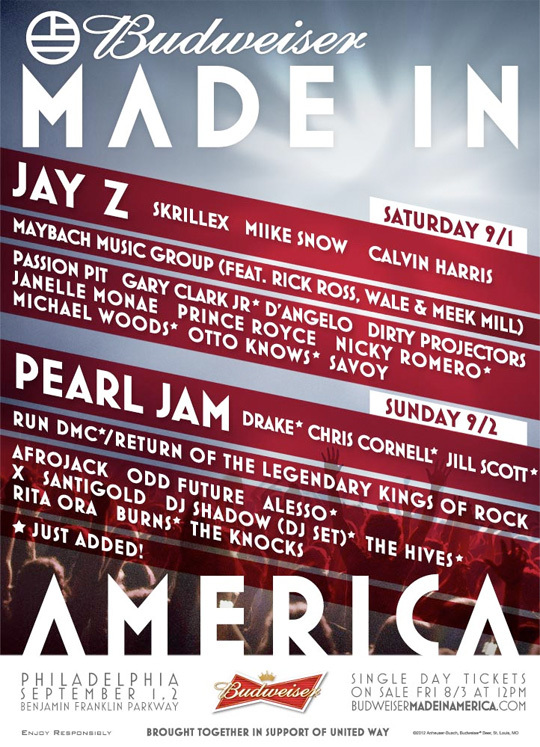 Drake is doing a set in Jay-Z‘s “Made In America” festival this Sunday, September 2nd. Drizzy hits the stage at 8PM. If your located in the Philly area, this is your chance to see Drake live. If you decide not to attend, guess what? The entire festival will be live streamed! 2PM — Gary Clark, Jr.
Drake, along with the Maybach Music Group, Rita Ora, Odd Futute are confirmed artists for Jay-Z’s "Made in America" music festival. The festival will take place Sept. 1st and 2nd at Ben Franklin Parkway in Philadelphia PA.